Elsewhere on this site we describe how the Western world encountered ‘Lean Manufacturing’ in Japan. We explain that the Japanese, of course, didn’t call it Lean. They simply thought of it as best practice – attacking waste in all its forms. Taiichi Ohno, the production engineer recognised as the father of the Toyota Production System, had gone so far as to recognise what he considered to be the 7 Wastes to be addressed in manufacturing operations. Western visitors to Japan, keen to see why the automotive companies in particular were proving so successful, were misled by focussing on inventory. The saw that the Japanese plants held little stock and that components for assembly lines were delivered exactly when required. They also saw deliveries from suppliers or other in-house areas of the plant were triggered by simple yellow pieces of cards – kanbans. They ascribed the term Just in Time to what they had seen, failing to recognise that the elimination of stock and the ability to control production and procurement with something as simple as a piece of card was the last piece in the Japanese jigsaw, not the first. JIT (and kanbans) worked because of all the work that had gone into supporting processes to address Taiichi Ohno’s wastes. In fact it wasn’t until sometime later that the term ‘Lean Manufacturing’ was applied to the Japanese approach by John Krafcik, a researcher on a 5-year MIT project into the reasons behind the Japanese performance in this sector. He suggested that the Japanese could be considered athletes in contrast with their Western competitors. The non-athletes were sluggish and fat and he commented that the opposite to fat was lean. In discussions amongst ourselves at MLG we have often wondered if he could possibly have realised when saying this that he was in the process of creating THE management buzzword of the current era. Might he have been able to assign some form of copyright? If so, then as little as 5 cents for every use of the term in a published book or article would either have made Mr Krafcik a very rich man or led to the evolution of some alternative name! For a number of years, ‘Lean’ was always quoted with an accompanying ‘Manufacturing’ or ‘Production’. It was viewed as an approach to improving productivity, efficiency and quality in factories when, of course, many of the techniques applied within Toyota had been adopted with similar zeal in office areas. These techniques were initially applied in the West in manufacturing companies focussed on manufacturing performance but soon began to extend into other parts of the business – up and down the supply chain (suppliers and suppliers’ suppliers, customers and the distribution network), marketing, product development, design, business systems and financial services. ‘Lean’ became the term to describe waste-free processing in any area. What Does Lean Look Like? The seven wastes identified by Ohno are all obvious and clearly visible. Quality levels are easily measured, as are productivity figures. Fork lift trucks constantly making long journeys to collect materials and components from Goods Inwards areas and delivering them to the point of use are obvious evidence of a business that hasn’t made the fundamental shift from Quality Control to Quality Assurance; that is, the establishment of processes which guarantee quality – right first time. Excessive transport of items also highlights de-coupled operations; that is, adjacent steps in the production process carried out in locations that are anything but adjacent. Other forms of waste can be identified, in manufacturing and other businesses. John Bicheno’s excellent books on the subject of Lean and Total Quality cite, for example, untapped human potential and the environmental (as well as cost) elements of wasted energy and water. However, this still doesn’t help reach a definition of Lean business processes with the ease that Ohno’s list of wastes facilitates within the manufacturing sphere. So how did we start to apply the lessons from the shop floor in the administrative areas? Consideration of the customer started back in the nineteen-eighties to make some companies recognise that the issues addressed by Lean techniques in the production area could be equally well applied in the provision of services. We may lose customers because of quality problems in product, but of course we may also do so because we just don’t provide a good service. Our product might be good, but we may not meet the lead times expected by the market; we may meet the required times in most cases but too frequently fail to meet the promises we make; we may fail only rarely – but when we do, we perhaps fail to warn the customer in advance of the delay; we may just be difficult to deal with, for example forcing customers to use our catalogue and our terminology to select product when they would prefer to simply specify their requirement in their own terms and leave our product specialists to determine the item and options that they need. Once we started thinking in these terms we recognised that waste was equally unwelcome within the service sector. It didn’t matter whether somebody was buying an electric motor or a design for an office block (or a sell and lease-back arrangement for the said office block), eliminating waste would be beneficial. What’s more, many of the techniques for waste identification and elimination from the manufacturing elements of Lean could be lifted directly from the shop floor and applied to the office. After all, elimination of wasteful activities will reduce time taken for any process. A final thought for the definition of Lean. One of the often-quoted terms is “waste is anything which adds cost but no value”. Since everything we do – obviously – adds cost then waste is anything we do without value. 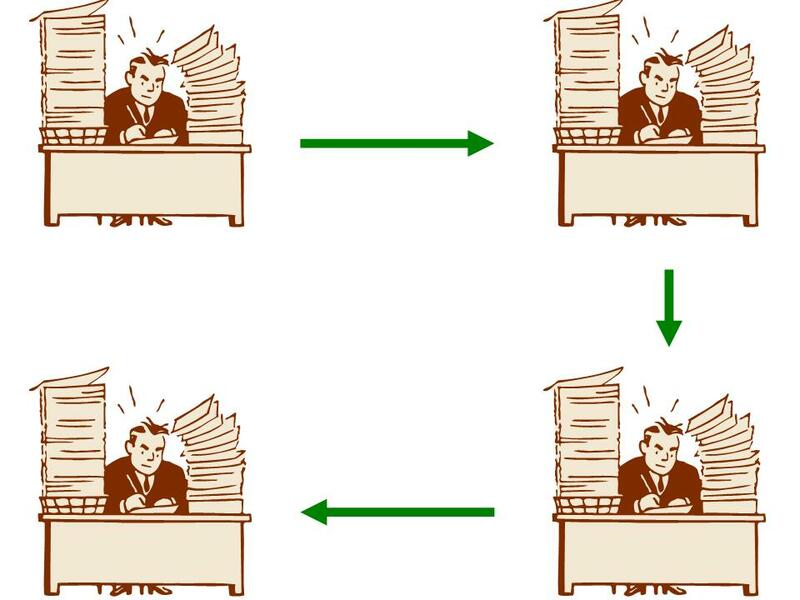 Examples are checking paperwork, duplicating records (perhaps manual files with the same data held on a computer system or the same information held in separate computer systems), copying and filing the copies when the originals are already available. You name it, life goes on and the principles of Lean are as applicable to all service sectors as they are to manufacturing. Interestingly, Dr H James Harrington, in his book ‘Business Process Improvement: The Breakthrough Strategy for Total Quality, Productivity and Competitiveness’ (ISBN-13: 978-0070267701), made the point that his approach was not about “importing some exotic Japanese management technique that only serves to further confuse everyone”. However, he then went on to clearly show how the lessons of Quality Assurance from the manufacturing sector could be applied to service businesses. Adherents to the Lean philosophy may have been genuinely, and justifiably, offended at the thought that the Japanese ideas would confuse; after all a cornerstone of Lean was simplicity, was it not? However, we could live with this – it was the sort of phrase that publishers use to introduce their products. A little provocation is never a bad thing in seeking publicity! The fact that some sensible ideas came out of the book further tempered people’s resentment. Every order sat in an in-tray (i.e. queue) waiting for the expert to get around to it. It then sat in another when returned to the originator. The expert’s skills were often wasted – many simple orders had no special requirements and the expensive and highly-valued talents were wasted in completing a standard form, attaching this to the order record and sending it on its way. The ‘reengineered’ approach was for only those orders requiring the specialist’s input to follow this path. The total processing time for all orders was reduced – the ones that didn’t need the specialist had one less activity and even those that did could be routed to the relevant specialist whose time wasn’t being diverted to the others. The similarity with the manufacturing philosophy of the Toyota Production System could be spotted immediately, as was the case with much of Hammer and Champy’s research. So, was BPR really something new, as quoted on the cover of the book? Our view is that it probably wasn’t – but that this doesn’t matter. If promoting best practice in this way led more companies to making the changes they needed to maintain competitiveness then it was adding value. Further, some people were – and remain – comfortable with applying the ideas of Lean (with their roots) in manufacturing to service processes and some are less so. For those more in tune with the Business Process Improvement (BPI) or Reengineering principles then these offer greater prospects for advancement. As with all issues relating to improvement, and as this site hopefully makes clear ad nauseam, our goal is to help clients achieving genuine, measurable change for the better. Whether this is perceived as being Lean, BPR, Total Quality Management (TQM) or . . . who cares? Learn the techniques available and get on with it! Maybe use the MLG acronym, ACS, which stands for Applied Common Sense. We claim no copyright.